Help us to make aAidez-nous à réaliser et imprimer le premier magazine-livre photographique trimestriel consacré à la photographie contemporaine. In the last two years, over 250 artists were showed online and over 60 of them were published in digital ebooks. 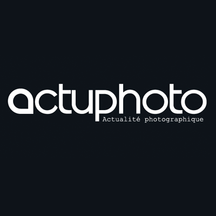 Our goal is to exhibit upcoming talents from the whole world. It’s in the same spirit that we are now going to publish a paper magazine called « Nicephore ». Matt and uncoated 115 gr paper, soft cover. Neither too small, neither too big, with full-page pictures. This book-magazine will be available in 51 countries on Amazon. 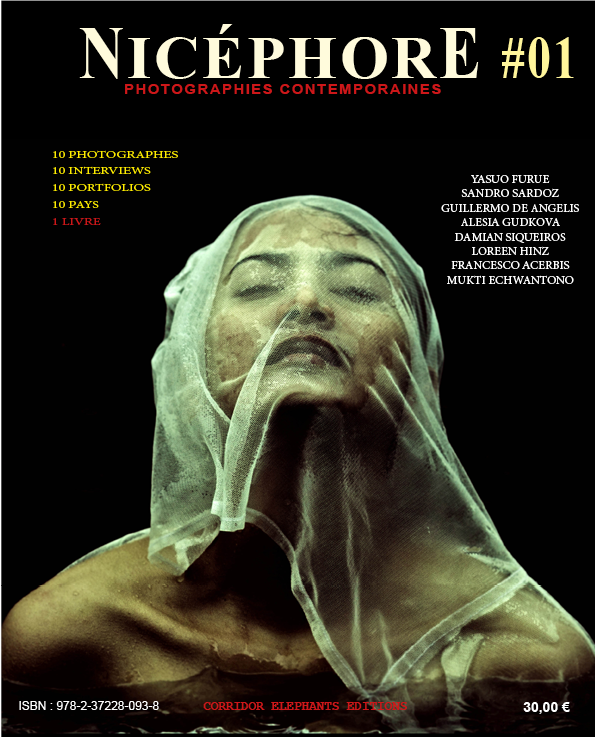 This quarterly magazine will issue each month 10 photo artists from 10 different countries. Each artist will display 15 to 30 pictures. Each and everyone of them will be portrayed through an interview in which they will be asked about the artistic approach in their work. 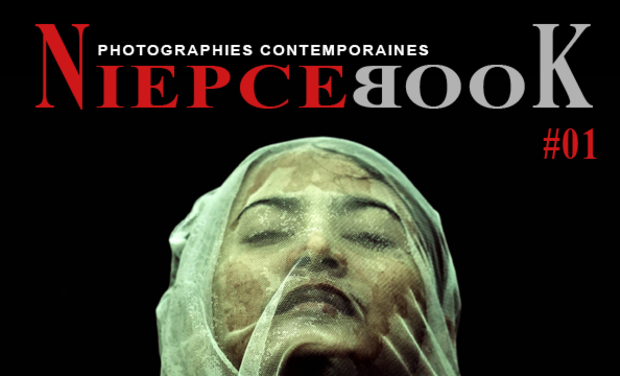 For two years, we have been inviting contemporary photographers, of all ages, to present their work on a digital display. Starting January 2016, and thanks to you, they will also be able to do the same on paper. This high quality paper printing will be perfect for collect and keep on a bookshelf just like any other art book. - A surprise guest ! Corridor Elephant is eco-responsible : we don’t want to print more books than we would sell. Wasting paper is useless and costly. This is why we favor selling online which let us print only « on demand ». Thank you for joining us. Corridor Elephant is an independent magazine. We voluntarily receive no advertisement or public funding. Your funding is the only source of income for the magazine and your participation today will enable us to publish our first paper issue (layout, printing and promoting included). If the project is funding over 3600 €, we will use the over funding to create and develop a series of paper books in which each issue will focus on a single artist. We are hoping many of you will find the project exciting and will follow us on this new art adventure! 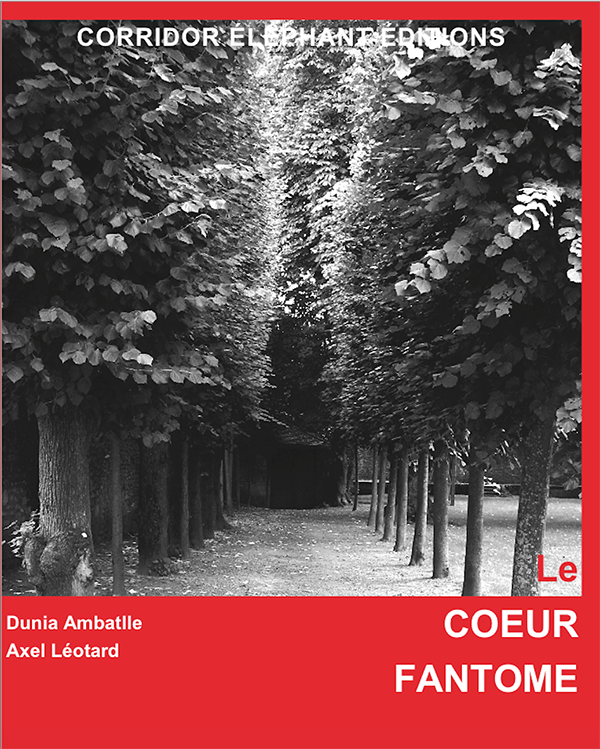 *Among prizes, a photographic paper book « Le Cœur Fantôme » by Dunia Ambatlle et Axel Léotard. Book and object of curiosity at the same time, each reader will walk her/his own way through the pictures or the texts. This book is a limited series, published only as a prize for this crowd-funding operation.